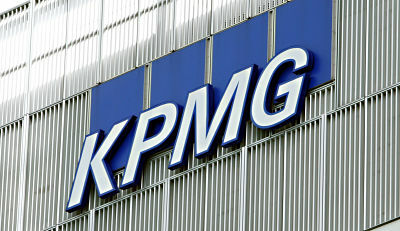 In a grovelling public apology after 18 months of silence, auditing giant KPMG admitted that its senior executives in South Africa had 'made mistakes' and 'ignored red flags' in working for the Gupta family. The firm also disowned a confidential report they prepared for the South African Revenue Services (SARS) in 2014, which stated that former finance minister Pravin Gordhan knew, or ought to have known, that a rogue investigations unit within the agency was spying on President Jacob Zuma and his allies. Some African leaders in the United Nations General Assembly on 19 September listening to United States President Donald Trump's planned remedies for rogue states seemed to breathe a sigh of relief at his lack of interest in their continent. The following day, during discussions chaired by Ethiopia, which presides over the UN Security Council this month, African officials saw in more detail what planned US budget cuts are likely to do to UN operations on their continent. President Trump's enthusiasm for the military and US projection of power doesn't extend to financing or participating in UN peacekeeping operations. US Ambassador to the UN Nikki Haley is pushing for swingeing cuts – of up to 10% – to UN missions in Congo-Kinshasa and Sudan. Trump wants to limit the US share of the UN's US$7.3 billion peacekeeping budget to 25%. It is currently 28.5% and the US is easily the biggest contributor. two francophone states, and for Britain to take on a stronger role in Juba. Picked up or not picking up? Weeks after ending a nine-month State of Emergency, major outbreaks of deadly violence have taken place at the borders of Oromia and Somali Regional State provinces.